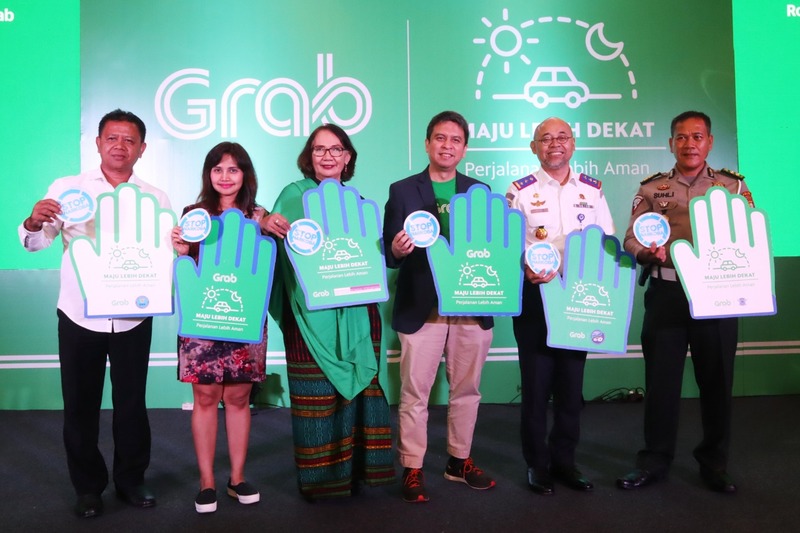 GRAB, the leading Online to Offline (O2O) mobile platform in Southeast Asian on November 29, 2018 unveiled its “Safer Everyday Tech Roadmap”, comprising product enhancements that aim to raise transport safety standards for the industry. This includes measures specifically aimed at changing user safety habits – such as in-car safely cameras in partnership with JVC Kenwood & PT. Digitalinstincts Teknologi – and telematics report for the drivers to learn their driving patterns and identify how to drive more safely, reduce the chance of incidents and to drive long term road behavior change. Since the roll out of telematics, there has been a 50% reductions in speeding incidents and 20% reduction in hard braking and sudden acceleration, which are potential causes of road incidents. GRAB also testing in-car safety cameras in GrabCars in partnership with JVC Kenwood & PT. Digitalinstincts Teknologi to dissuade inappropriate behavior or aggressive and plan to equip more than 3500 GrabCars with such device by early 2019 and 24/7 customer support center. GRAB Indonesia Managing Director, Ridzki Kramadibrata said, even as GRAB has grown much larger safety remains a core parts of GRAB DNA.